New Mercedes-Benz models like the GLE and E-Class offer Providence drivers an unprecedented level of luxury combined with quick and seamless performance. Whether you are looking for an SUV, sedan, or a convertible, don’t settle–choose a Mercedes-Benz model and get access to features like mbrace® Connect, ATTENTION ASSIST®, 4MATIC® All-Wheel Drive, PRESAFE®, and DISTRONIC PLUS®. 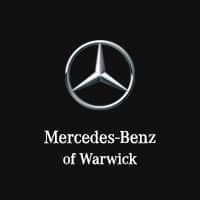 Once you’ve compared our models and decided on your next Mercedes-Benz vehicle, whether it’s the GLC or C-Class, take the trip from East Greenwich to Mercedes-Benz of Warwick so you can take it for a test drive! LOADED WITH VALUE! Comes equipped with: Black, Mb-Tex Upholstery, Polar White. This Mercedes-Benz A-Class also includes Air Conditioning, Clock, Climate Control, Tachometer, Dual Zone Climate Control, Cruise Control, Power Steering, Telescoping Steering Wheel, Steering Radio Controls, Sunroof, Power Mirrors, Moonroof, Lthr. Steering Wheel, Driver Airbag, Passenger Airbag, Intermittent Wipers, Side Airbags, Rear Defogger, Security System, AM/FM, Touch Screen, Satellite Radio, Navigation System, Center Arm Rest, Vanity Mirrors, Heated Mirrors, Child Proof Door Locks, Daytime Running Lights, Reverse Camera, Side Curtain Airbags, Roll Stability Control, Tire Pressure Monitor, Carpeted Floor Mats, Overhead Console, HD Radio.LOADED WITH VALUE! Comes equipped with: Black, Ginger Beige/Black, Mb-Tex Upholstery. This Mercedes-Benz GLS also includes Air Conditioning, Clock, Climate Control, Tachometer, Dual Zone Climate Control, Cruise Control, Homelink System, Privacy Glass/Tinted Windows, Power Steering, Telescoping Steering Wheel, Steering Radio Controls, Sunroof, Power Mirrors, Moonroof, Lthr. Steering Wheel, Driver Airbag, Passenger Airbag, Intermittent Wipers, Side Airbags, Rear Defogger, Security System, AM/FM, Anti-Theft, MP3, Bluetooth®, Rear Spoiler, 3rd Row Seating, Rear Wipers, Center Arm Rest, Remote Trunk Lid, Vanity Mirrors, Heated Mirrors, Body Side Moldings, Rear Fog Lamps, Child Proof Door Locks, Daytime Running Lights, Reverse Camera, Side Curtain Airbags, Roll Stability Control, Power Lift Gate, Tire Pressure Monitor, Premium Sound, Carpeted Floor Mats, Overhead Console, Aux. Audio Input, Front Heated Seats, HD Radio. This Mercedes-Benz E-Class also includes Air Conditioning, Clock, Climate Control, Tachometer, Dual Zone Climate Control, Memory Seat Position, Cruise Control, Homelink System, Power Steering, Telescoping Steering Wheel, Steering Radio Controls, Sunroof, Power Mirrors, Moonroof, Lthr. Steering Wheel, Driver Airbag, Passenger Airbag, Intermittent Wipers, Side Airbags, Rear Defogger, Security System, Anti-Theft, MP3, Satellite Radio, Navigation System, Center Arm Rest, Remote Fuel Door, Remote Trunk Lid, Vanity Mirrors, Heated Mirrors, Rear Fog Lamps, Child Proof Door Locks, Daytime Running Lights, Reverse Camera, Side Curtain Airbags, Roll Stability Control, Tire Pressure Monitor, Carpeted Floor Mats, Overhead Console, Aux. Audio Input, HD Radio. LOADED WITH VALUE! Comes equipped with: Black, Black Mb-Tex, Mb-Tex Upholstery. This Mercedes-Benz GLC also includes Air Conditioning, Clock, Climate Control, Tachometer, Dual Zone Climate Control, Cruise Control, Homelink System, Privacy Glass/Tinted Windows, Power Steering, Telescoping Steering Wheel, Steering Radio Controls, Power Mirrors, Lthr. Steering Wheel, Driver Airbag, Passenger Airbag, Intermittent Wipers, Side Airbags, Rear Defogger, Security System, AM/FM, Anti-Theft, CD Player, Bluetooth®, Rear Wipers, Center Arm Rest, Remote Trunk Lid, Vanity Mirrors, Heated Mirrors, Rear Fog Lamps, Child Proof Door Locks, Daytime Running Lights, Reverse Camera, Side Curtain Airbags, Roll Stability Control, Power Lift Gate, Tire Pressure Monitor, Carpeted Floor Mats, Overhead Console, Aux. Audio Input, Front Heated Seats, HD Radio.LOADED WITH VALUE! Comes equipped with: Black, Black Mb-Tex, Mb-Tex Upholstery. Comes equipped with: Black, Mb-Tex Upholstery, Mountain Grey Metallic. This Mercedes-Benz GLA also includes Air Conditioning, Clock, Climate Control, Tachometer, Dual Zone Climate Control, Cruise Control, Privacy Glass/Tinted Windows, Power Steering, Telescoping Steering Wheel, Steering Radio Controls, Power Mirrors, Lthr. Steering Wheel, Driver Airbag, Fog Lights, Passenger Airbag, Intermittent Wipers, Side Airbags, Rear Defogger, Security System, AM/FM, Anti-Theft, Bluetooth®, Rear Spoiler, Rear Wipers, Center Arm Rest, Remote Trunk Lid, Vanity Mirrors, Heated Mirrors, Rear Fog Lamps, Child Proof Door Locks, Daytime Running Lights, Reverse Camera, Side Curtain Airbags, Roll Stability Control, Power Lift Gate, Tire Pressure Monitor, Carpeted Floor Mats, Overhead Console, HD Radio. Comes equipped with: Black, Nappa Leather Upholstery, Obsidian Black Metallic. Comes equipped with: Black Mb-Tex, Mb-Tex Upholstery, Iridium Silver Metallic. Comes equipped with: Espresso Brown, Mb-Tex Upholstery, Polar White. Comes equipped with: Black, Mb-Tex Upholstery, Night Black. Why Choose a Mercedes-Benz Vehicle at Mercedes-Benz of Warwick? In addition to our dedicated customer service and service department, our selection of Genuine Mercedes-Benz accessories ensure that your luxury vehicle will continue running at the level it should. Wondering why you should choose a luxury car like a Mercedes-Benz? They often offer the best safety options as well as the most advanced entertainment features to make your Cranston drive safer and more enjoyable. If you have any questions about our current inventory of the new A-Class sedan, be sure to contact us at Mercedes-Benz of Warwick.